This 15.9 MB PDF instruction document (Nikon calls it a “Guide to Digital Photography”) for the Nikon D3000 should prove to be a fantastic read, all 216 pages of it — be sure to download it. Both printable and non-printable versions of the English Language D3000 owner’s operation guide can be downloaded. 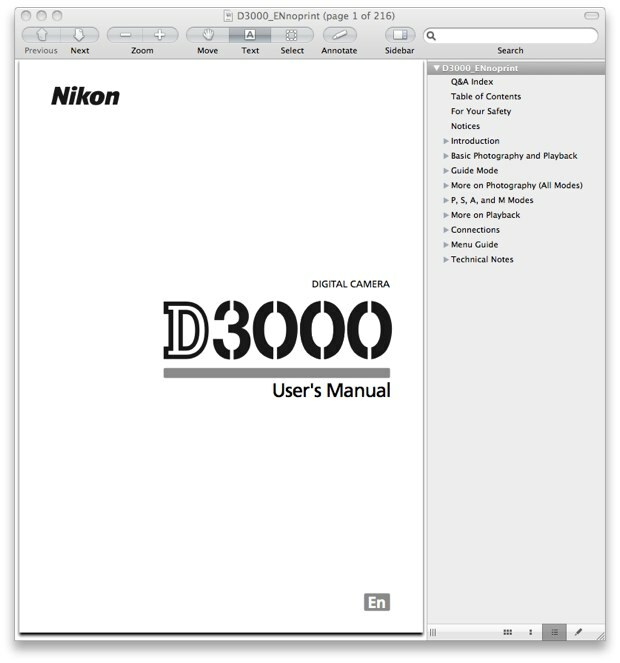 The user guide is titled “Nikon D3000 Digital Camera User’s Manual” (the 15.9 MB Acrobat document that I referred to earlier). Here is the direct link to the English, non-printable manual — right-click and save to your hard drive. 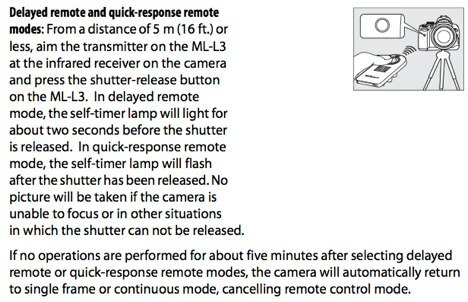 The guide discusses the features of the D3000 and how to use the camera, for instance, on pages 55, 56 and 57, there’s an explanation on how to use the optional Nikon ML-L3 infrared wireless remote control take a picture. Popular Nikon D3000 books and other printed literature and reading material in the Arts & Photography and Books section on Amazon.com.